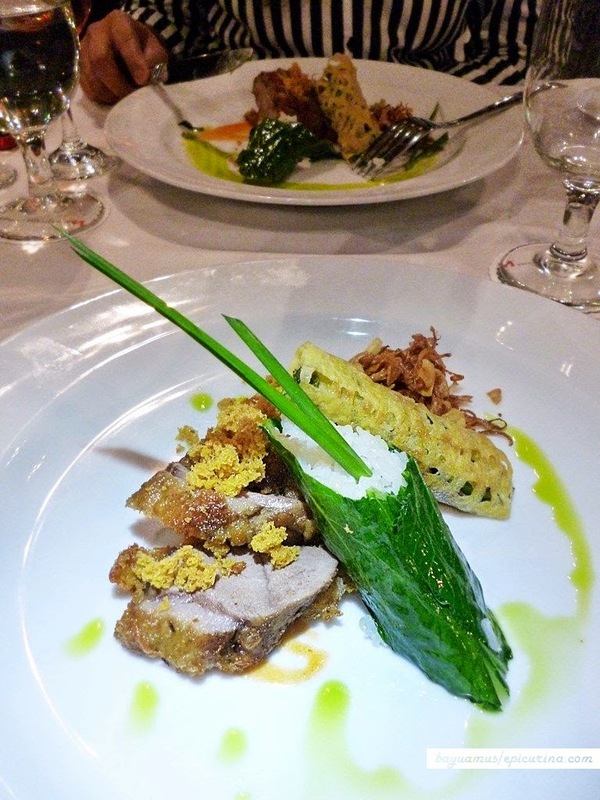 Earlier in May 2014, the Swiss Belhotel Rainforest host a new dinner series, "A Night to Remember" featuring creation from one of Indonesian kitchen maestro, Chef Kelana. Epicurina was invited as one of the guests for the pilot run, and I surely wouldn't miss a chance to get a taste of Chef Kelana's masterful creation. Set in the midst of bustling Sunset Rd., The Oak Restaurant is located inside Swiss Belhotel Rainforest's premise, in their inner courtyard right behind the hotel's Lobby. The courtyard also serves as the main air shaft of the hotel, and it was designed like you're in the middle of a lush forest, a hidden surprise to guests visiting this premise, that looks just like ordinary hotel from the outside. While the dinner was being prepared, our host for the dinner Teddy introduced us to the other guests, which mostly are familiar faces from Bali's leading mass media. The air was extremely humid and hot that night, which made the wait a bit taxing. After some refreshments and snacks, we were escorted to our seat thus "A Night to Remember" experience begun. 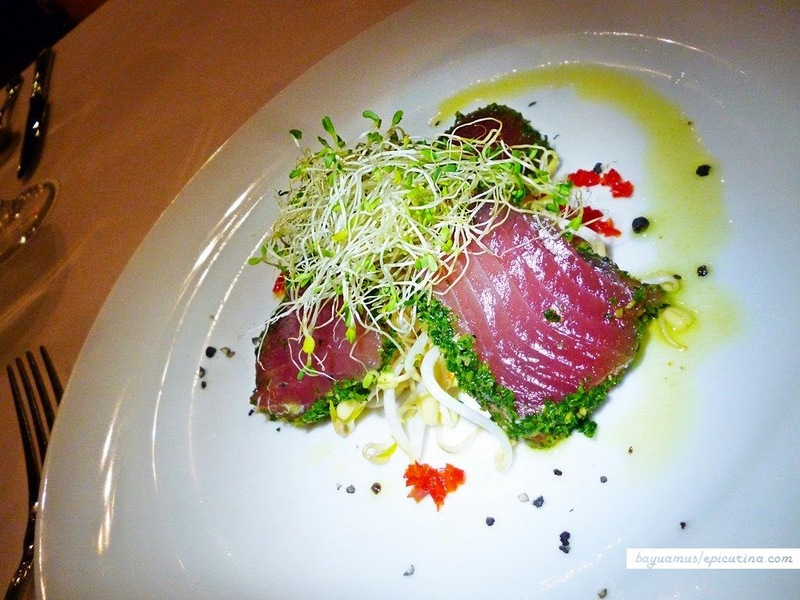 As the opening, there's Ginger flower marinated seared fresh Maluku Tuna, a light refreshing dish combining succulent raw tuna with the nutty bean sprout and alfalfa salad in light acidic dressing. The ginger flower provide a warm aftertaste in your throat. 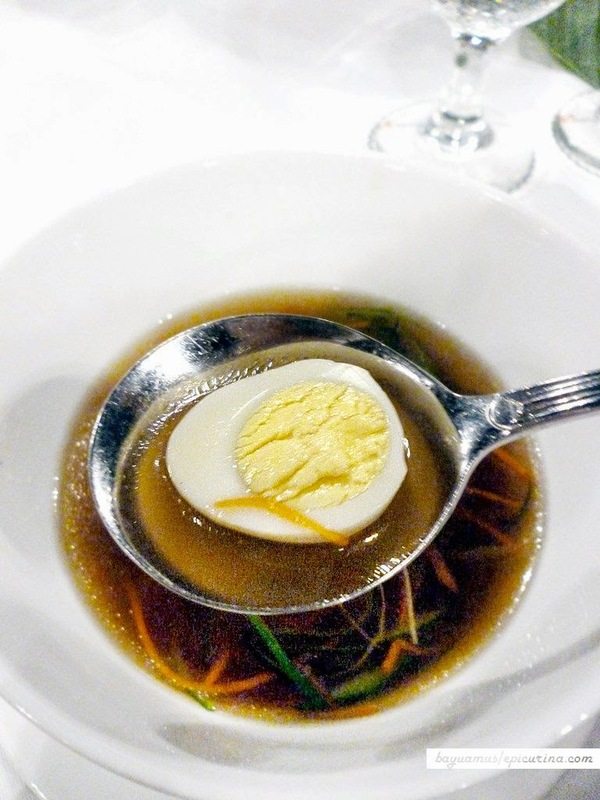 Second came the oxtail broth with quail egg and dumpling. The broth was slow cooked overnight to extract all the flavours, resulting in a familiar classic oxtail soup taste. Just that it's served sans the meat, it becomes a subtle greeting to your tastebuds, instead of the usual high-octane slap. Chef Kelana was kindly reminded the guests to not ask for sambal, as the chilli will ruin the delicate taste exist in this soup. As the main of "A Night to Remember" dinner was this combo of succulent duck, rice, and fern urab, accentuated with Sambal Balado. The fern urab was so fresh and crunchy, and the rice was among the nicest pulen white rice I've ever tasted. As with the duck, the dark meat fits well with the Sambal Balado. 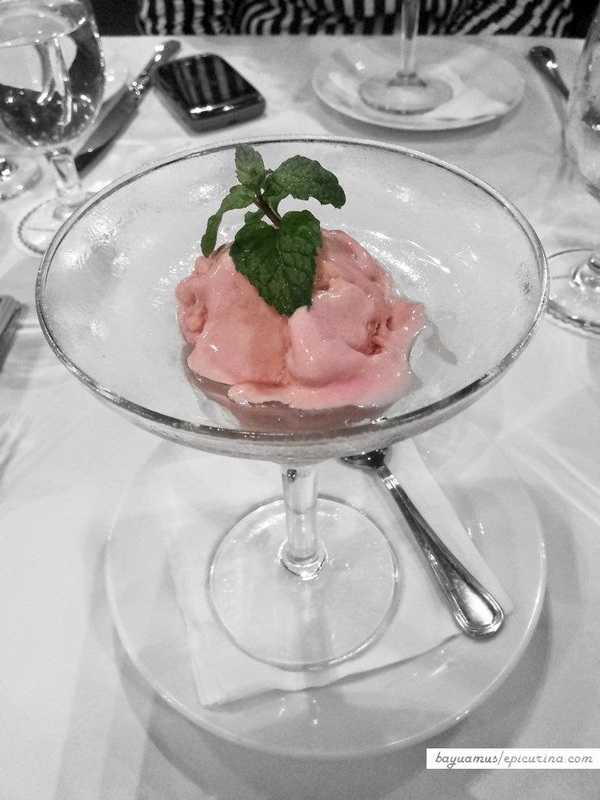 The strawberry ice cream came as a sweet refreshment and palate cleanser before our main dish was served. Normally it's served in white wine but I asked for the one without. 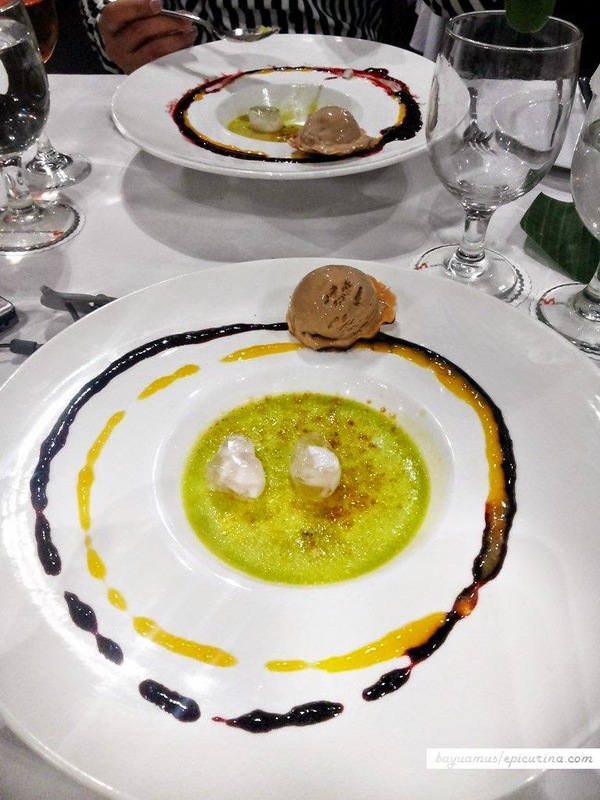 What most of the guests found surprising however is the dessert: Young Coconut Creme Brulee, combining the chunky young coconut with fragrant coco pandan cream, which tasted like a perfect crossbreed of Creme Brulee with Klapetaart. It's accompanied by young coconut jelly, coffee ice cream, and a peanut ginger nougat that further adds more flavour layers. 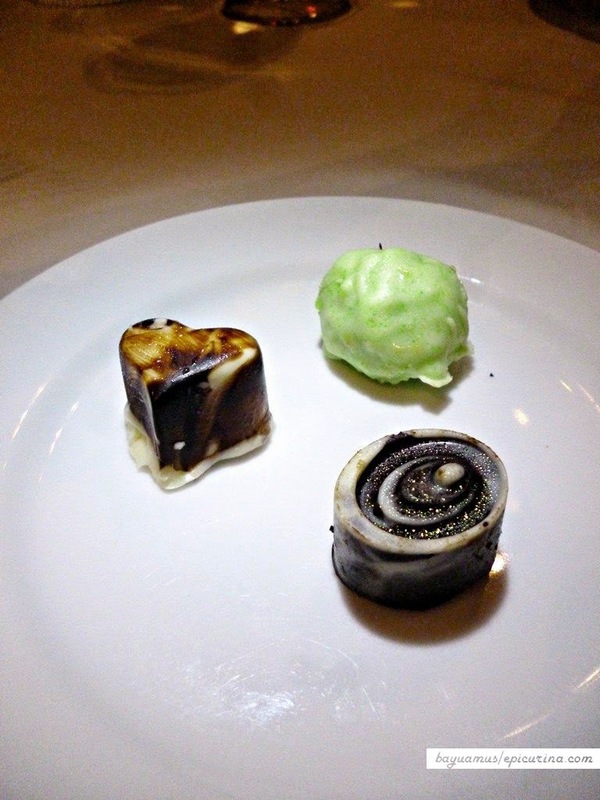 As a surprise closing, Chef Kelana presented these wonderful chocolate which each has familiar Indonesian flavours. Well known for his fondness of Indonesian cuisine, Chef Teuku Muhammad Kelana was also one of the founder of Indonesian Chef Association (ICA). 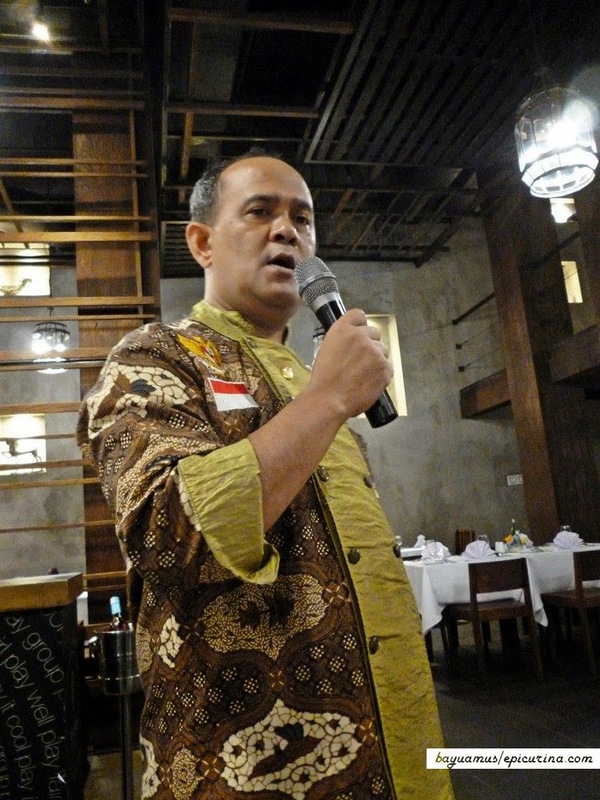 In recent years he has hosted TV shows, cooked for ambassadors and recently published his own Indonesian cookbook.